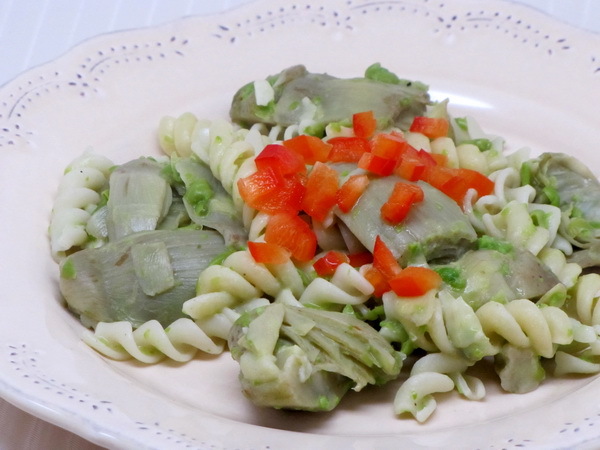 Here are a list of some recipes I have made with FiberGourmet pastas. Enjoy ! 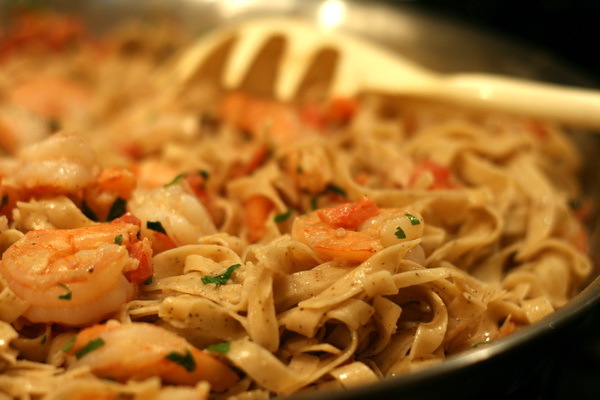 Another recipe that because of FiberGourmet pasta, you can eat a real satisfying portion size ! 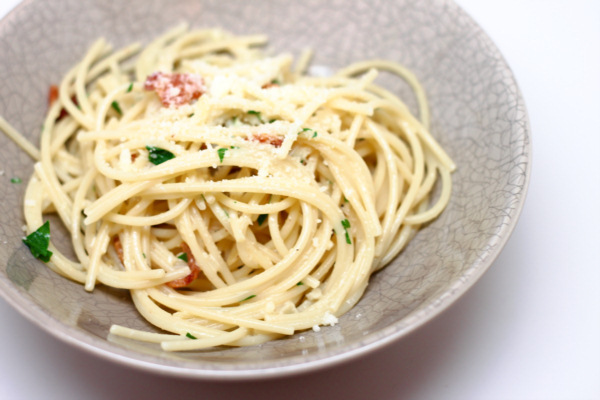 That means plenty of room for some grated parmesan cheese on top…and even room for a grilled chicken cutlet. 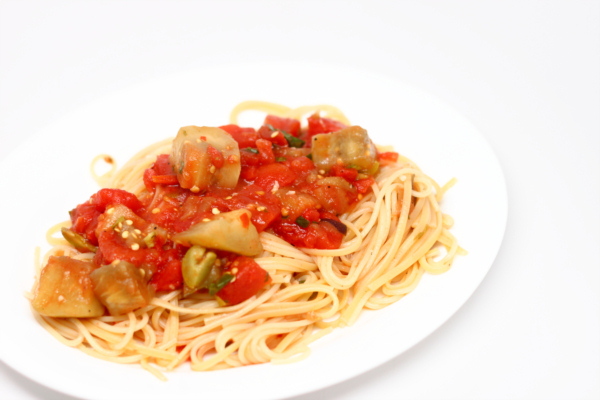 You won’t believe the portion size when you make this. 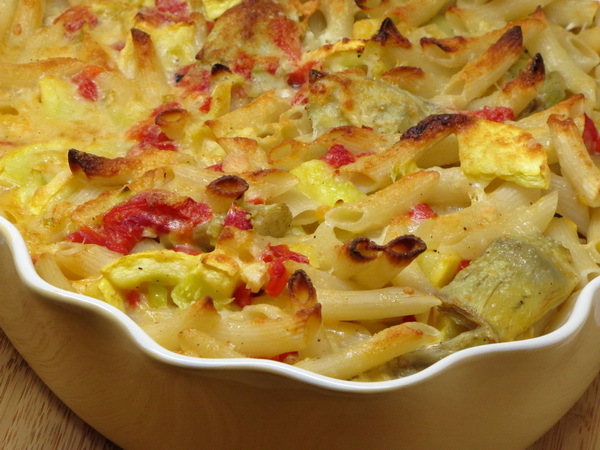 The sauce on the pasta and artichokes is very flavorful, light, well-textured and colorful – – it was surprisingly good ! Heat the oil in a skillet, add garlic and sauté 1 minute. Then add the artichokes and cook another minute then add broth and ¾ c water and bring to a boil and reduce the heat and simmer 15 minutes or until the artichokes are tender. When done, drain any remaining liquid into a measuring cup. Cook the pasta according to package instructions and then drain but keep enough of the liquid to fill the measuring cup to ¾ c of total liquid. In a food processor mix the reserved liquid, peas, lemon juice, tarragon, salt and pepper. Process until smooth and then pour the sauce into the skillet with the artichokes and bring to a boil. Whisk together the sour cream and the flour and place in the skillet and cook 1 minute or until slightly thickened. Pour mix over the pasta and toss well. Sprinkle with the peppers and serve immediately.